Remember a couple of weeks ago when I posted a story about rescuing a few Spotted salamander egg masses form a shrinking ephemeral pond? Well, the eggs started hatching a few days ago and there are probably close to 100 larval salamanders now happily swimming, feeding and growing in the tank! 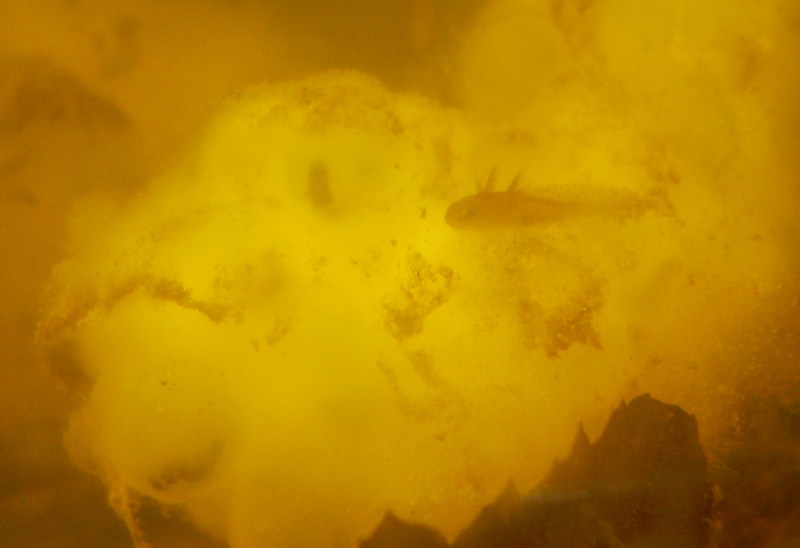 This first pic is a larval salamander resting on its egg mass. This salamander is only about 1 centimeter long! 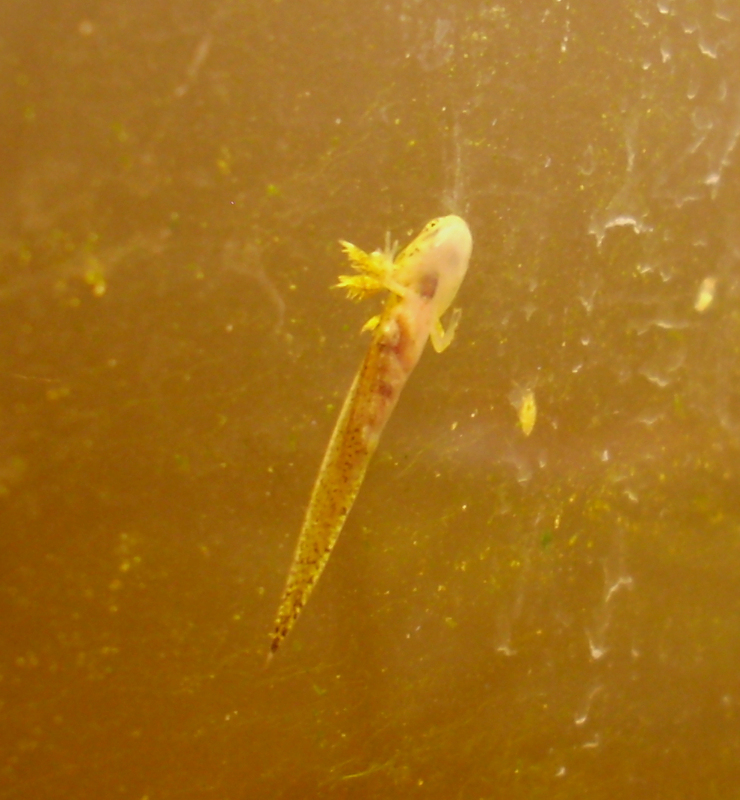 The next photo is of a larval salamander resting after feeding on daphnia. If you look to the right of the salamander you can see two female daphnia full of eggs attached to the algae growing on the glass. Another photo in which you can see the feather-like gills of the larval salamander. 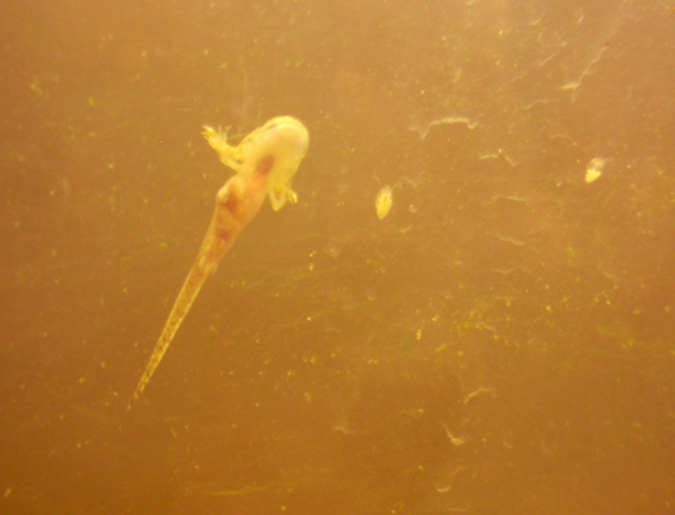 I will be sure to keep you updated on the growth of the salamanders in the coming weeks.